The UK Government says, "We don't deport LGBT asylum seekers and we never will". Is that a lie? Let's stop the deportation and detention of LAZIA NABBANJA NOW! 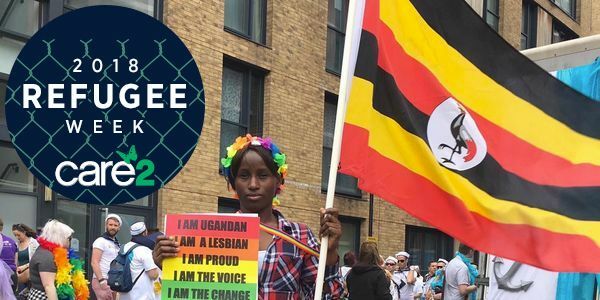 We, the undersigned, petition the Home Office to free Lazia Nabbanja [HO Ref N3010837] from detention, and not to deport her to Uganda, where she faces a grave risk of harm and a threat to her life and liberty. Lazia is a Ugandan lesbian who has been active in the LGBTI community in the UK, both on behalf of Rainbows Across Borders and Out and Proud African LGBTI. She is much loved and respected in our community, and we reject any suggestion that she is somehow not a genuine lesbian. Lazia has a visible online presence, and gay haters in Uganda will identify her. We fear for her safety if she is sent back to Uganda. Please allow Lazia to continue her life in the UK and to live freely in an open, tolerant society. In 2009, Lazia was forced into marriage due to pressure from her family. She could be open about her sexuality to her family. In 2016 Lazia's husband found her kissing her girlfriend. On discovering that, her husband brutally beat her, and she was left unconscious. Lazia fled the marriage and went to live with her grandparents in Mityana, another city in Uganda. With the help of her friends, she came to the UK where she applied for asylum. The Home Office refused her application saying that Lazia's life was not in danger despite the scars she had which the husband inflicted on her. The Home Office refused to believe her statement. On the 16 September 2017, The Home Office detained Lazia before she was able to submit a fresh claim for asylum. They scheduled her deportation for 30 September 2017, but thankfully that deportation has not gone ahead. The Home Office claims Lazia will not be recognized if she returns to Uganda. This is incorrect because her photographs featured in an article in the Red Paper, on Facebook, on YouTube videos and many other online publications. Help us save Lazia and sign and share this petition widely! VERY URGENT. If deported, Lazia's life is at risk! Can you help contribute to Lazia's essential legal fees to fight for her to stay in the UK? Even £1 will make a huge difference. If you can't donate, please share this page with your friends. Great news! Lazia has been freed from detention and the Home Office agreed to make a new decision within three months. We must keep the pressure on until Lazia is given asylum in the UK and no longer faces the threat of deportation. Ask your friends to sign this petition. VERY URGENT. If deported, Lazia's life is at risk! Can you help contribute to Lazia's essential legal fees to fight to allow her to stay in the UK? Even £1 will make a huge difference. If you can't donate, please share this page with your friends. Will you support Lazia's legal effort? Thank you so much for your support. Now we need to take legal action to make sure Lazia can stay in the UK. Please contribute to her legal fund here or share this link. Your support will allow Lazia to continue her life in the UK and to live freely in an open, tolerant society. Thanks for signing! Great news - Lazia's scheduled deportation on Saturday 30 September did not go ahead. However, she is still in a detention centre and fears the Home Office will issue her with a new removal order any day now. So it's essential we keep up the pressure by signing and sharing this petition.